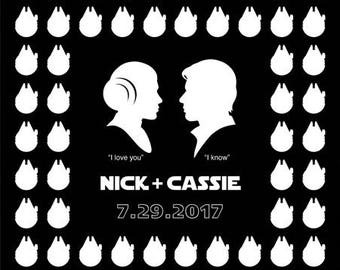 The perfect wedding guest poster for dog lovers that's also an original keepsake to display in your home. 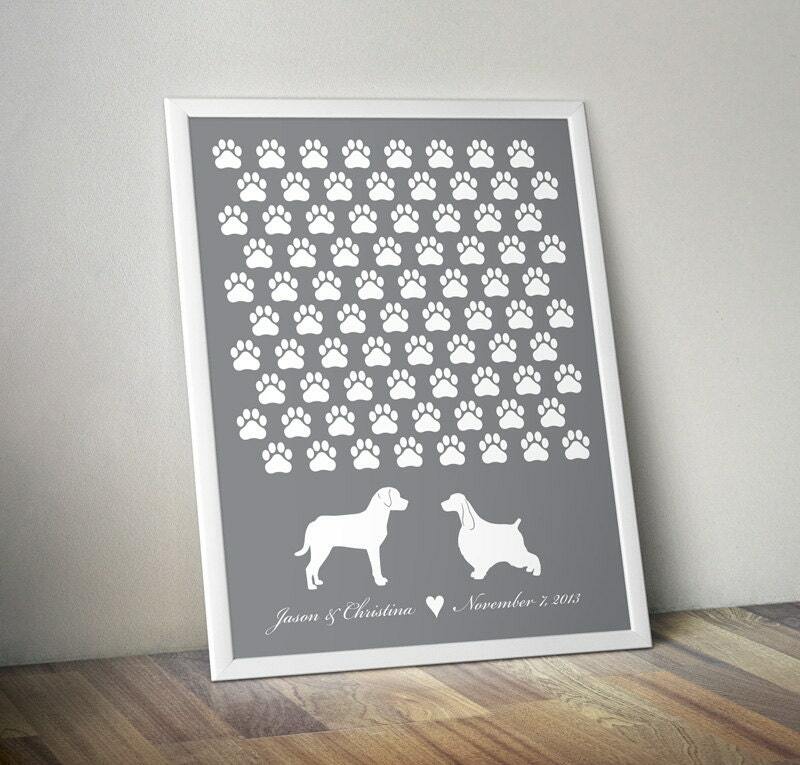 Completely customized to suite your wedding or anniversary party - choose your dog breeds, personalize it with your names and date, in your favorite color - this unique poster will make a lovely addition to your festivities. The print can be customized to your number of guests. The print is professionally printed on matte photo paper. Available in two sizes, 16" x 20" or 20" x 30". Shipping is FREE! Framing is also available (for US orders only.) Simply click on the "Size" option to see the frame choices. • The two dog breeds (I have over 200 dog breed silhouettes available in my shop. Please browse my store for samples of the different breeds). 2. Within 48 hours, I will email you a proof of your design for approval. You can verify the information and make any changes necessary. Prints do not ship out until it's been approved by you. 3. Once approved, prints ship out within 3 business days. Framed prints ship out in approximately 1 week. Need some recommendations and suggestions on how to use your wedding guest signature print? I wrote just the article for you!